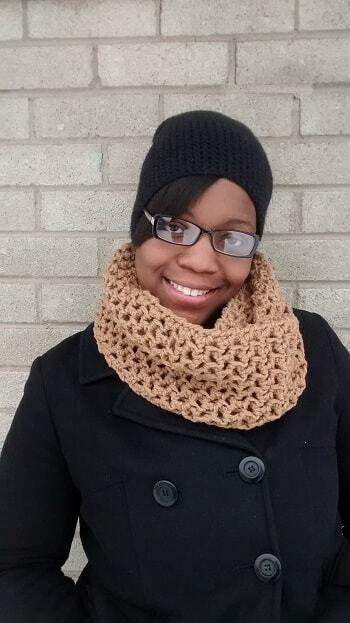 Today we are interviewing Zelanda Dowell about her cookbook "Let’s Eat! 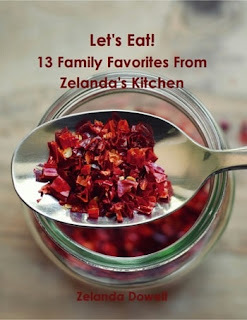 13 Family Favorites from Zelanda’s Kitchen." I am married to the best guy in the world, we have 4 wonderful children, and I absolutely love to cook and crochet! My book contains our family's top favorite recipes. Each recipe is fairly easy to create, versatile, and includes a full-size full-color image of each completed dish! I think that home cooks from beginner to intermediate skill levels with families will appreciate this book. What inspired you to write a cookbook that contains your family’s recipes? How did you select the recipes to include in the book? Where did you learn your style of cooking? Were your parents and grandparents influential in how you cook? I adapted my cooking style, which is home style, from my grandma. Anything she saw or had before she always tried to recreate it at home. Yes! My grandparents love savory classic flavors so I make those a lot, my dad likes robust flavors with hints of heat which are very fun to use, and my mom is casserole queen which explains why I make a lot of casseroles! Lol. I plan on writing a book just for casseroles very soon. What is your favorite recipe in your cookbook? Oh goodness..... I can't just pick one! I'll have to go with brown sugar salmon with lime cilantro rice and double chocolate fudgy brownies! The salmon and rice is so vibrant and full of flavor, they complement each other very well! Because of this crazy sweet tooth I have, I have to have these brownies! They are chocolaty fudgy goodness! Did becoming a mother and cooking for your family change how you cook? If so, how? Definitely! Becoming a mother made me cook using fresher healthier ingredients. I also started using my measuring cups, and of course cooking bigger quantities. My grandma taught me how to cook without measuring, (cooking by eye estimates) but it sure is hard to cook larger meals by going on the way it "looks" :-). I hope to display to people that you don't have to be professionally trained or eat out to eat great food that doesn't take forever! There is a short cut/easier way to do everything and as long as it tastes the same or even better, why not? P.s. Let's Eat! Is available in eBook and paperback versions!